If you just got your first Betta fish, you may be wondering if your new friend is bored. Bettas can’t be kept with members of their own species due to their aggressive nature, leaving many aquarists to ponder getting theirs a few toys to keep him or her occupied. Do Bettas need toys? Do they even like them? And if so, what are the best Betta fish toys? 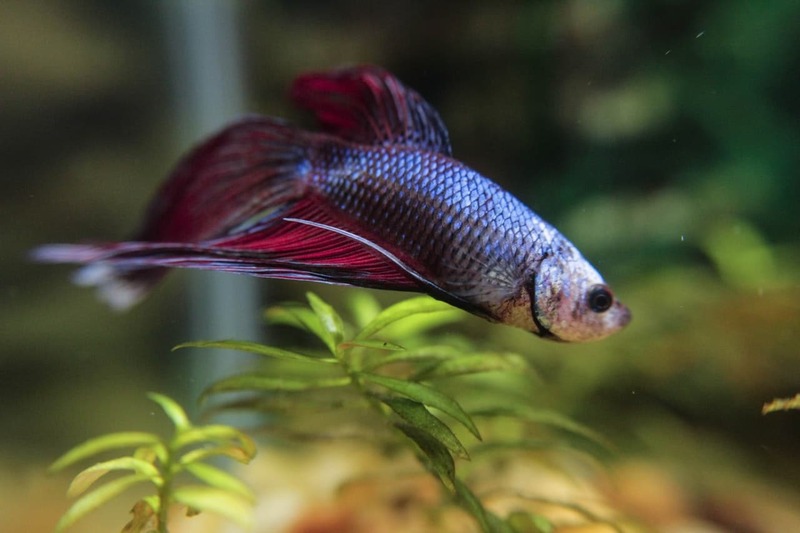 Keep reading this Betta fish toy guide for the answers to these questions and more! Why Do I Need Toys for My Betta Fish? Adding toys to your Betta’s aquarium is actually an important part of Betta care – depending on your definition of toys, that is. Although fish like Bettas don’t tend to play with toys like a dog or a cat would, they need and appreciate them. There are three reasons for this. First off, in their natural habitat, a Betta will tend to have several square meters of territory to explore. This territory is generally patrolled diligently, as you’ll likely also see your fish do in its tank. Bettas spend much of their day swimming laps around the tank, keeping a close eye on all elements and checking out anything new. Adding toys like a moss ball or some live plants changes things up and offers mental stimulation. Additionally, Betta fish are naturally quite shy. The ponds and swamps their wild counterparts naturally inhabit contain a lot of vegetation, sometimes so much you wouldn’t even think there was any water or fish present. They’re used to having all these plants to use as cover and therefore really appreciate plenty of hides. Many Betta fish toys are designed to not just provide mental stimulation, but also a hiding spot for your fish. Don’t worry about never seeing your Betta: having more hides reduces stress and will actually make the Betta more likely to stay out in the open, since it knows it can retreat at any time. Third, Bettas, and especially long-finned varieties, really like having access to some resting spots. Dragging around a broad tail that’s just as long as its body itself is rather exhausting for the fish, especially because it needs to regularly dart to the surface to catch a breath of air. To make things easier for your Betta you can add some of the many toys to its tank that are designed to double as resting places. Even a large-leaved plant that stretches up to the surface can be used as a fish sofa! So, now that we’ve confirmed that your Betta does indeed appreciate and even need some toys in its tank for various reasons, let’s move on and see what we’ve got to work with. There are many natural and artificial types of Betta fish toys out there, so it shouldn’t be difficult to find something that matches your aquarium set-up. Here are a few toys and accessories that your betta fish is sure to love! The most common ‘toy’ to add to a Betta tank is really not a toy at all, but rather something natural and simple: live plants. Greenery in the form of aquatic plants offers all of the advantages of Betta fish toys that we discussed earlier and will really be appreciated. You don’t have to go easy on the planting either, because the more jungle-like its tank, the more your Betta will like it. If you’ve had bad experiences with live (aquarium) plants, you might be worried your black thumb will get in the way of successfully growing them in your tank. An alternative to live plants exists in the form of artificial ones made of plastic and silk. These work absolutely fine and your Betta won’t be able to tell the difference. Just make sure any artificial plants you use are absolutely free of sharp edges that might tear a Betta’s delicate fins. Even if you haven’t had much luck with growing plants in the past, we do still recommend at least considering it now. Live plants offer additional benefits that artificial ones don’t, like aiding in keeping the aquarium’s water values stable by absorbing harmful substances such as nitrates. 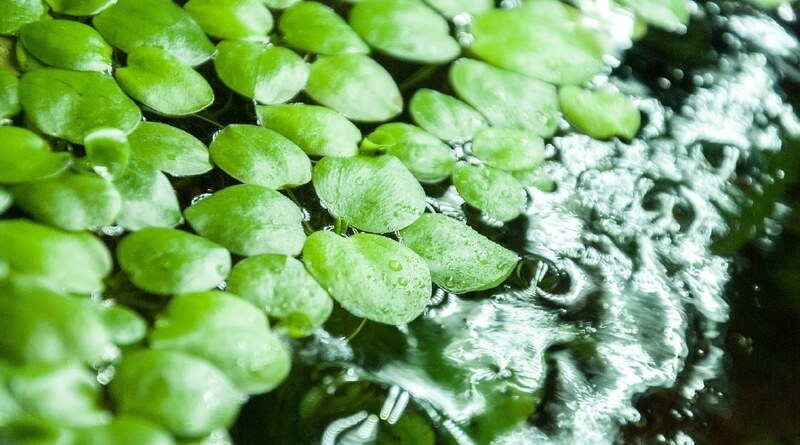 There are many plant species out there that will thrive in your aquarium, some of which grow so prolifically even an absolute beginner will be able to keep them alive. The Betta fish leaf hammock was designed focusing on the fact that Bettas need resting spots to feel comfortable. This toy is as simple as it is ingenious: a broad plastic leaf invites your Betta to ‘take a seat’, while a suction cup allows you to place the leaf anywhere you’d like. Near the surface is usually the best option, since most other décor doesn’t stretch that high and your Betta will like not having to travel too far for a gulp of air. 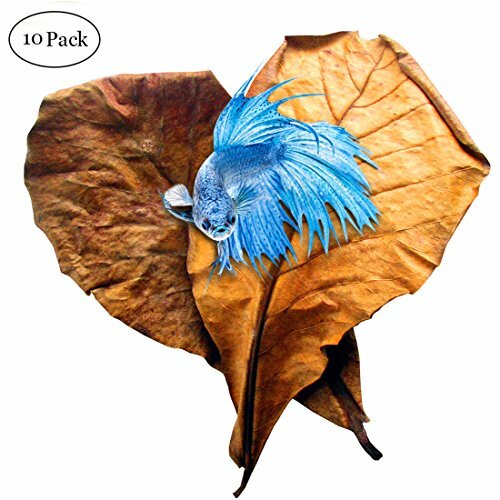 There are various brands of Betta fish leaf hammocks out there, some of better quality than others. You can’t usually test the leaf hammock since they come pre-packaged, but try to inspect it for any sharp edges and try to go for a brand that is more silky rather than hard plastic. One of the most commonly sold Betta fish toys is the classic mirror. Bettas, having been bred as fighter fish, will respond very strongly to their own reflection. Seeing themselves triggers a flaring reaction, where the fish expands its fins and gill flaps and takes on a threatening posture in order to scare off the ‘opponent’. Seeing your Betta flare is quite fascinating, but be careful not to overuse your Betta fish mirror. Definitely don’t leave it in the tank indefinitely: being exposed to what it thinks is an opponent threatening its territory 24/7 is extremely stressful to a Betta. Stress makes fish vulnerable to disease and other issues, so don’t use a Betta fish mirror for more than five minutes a day. You might be asking yourself why, if seeing its reflection stresses a Betta out, you’d use a Betta fish mirror at all? In an aquarium a Betta doesn’t get as much exercise as it would in a natural environment, which is one of the reasons this species is actually quite prone to obesity. Making yours exercise for a few minutes a day won’t stress it out and can help keep it a little bit healthier than it would otherwise be! If you’re looking for a way to really interact with your Betta, the Fish School Training Kit might be the best toy to choose here. This product is exactly what its name suggests: a kit that contains various different ways to train your Betta, teaching it to do tricks. There’s a hoop, a miniature football field and little balls for the fish to push around. A small feeding wand that can hold a food pellet allows you to train the fish to perform the tricks included. Users of this training kit have reported varying degrees of success with Bettas, with some of them seemingly being more motivated to chase a pellet around than others. That being said, this is such a fun thing to try and some fish do appear to learn quickly! COMFORTABLE - Coco Hut is a perfect hideout for your fish, crabs and other aquarium pets. Its all-natural, eco-friendly material helps recreate the look and feel of their natural habitats, making them happier and healthier aquarium dwellers. 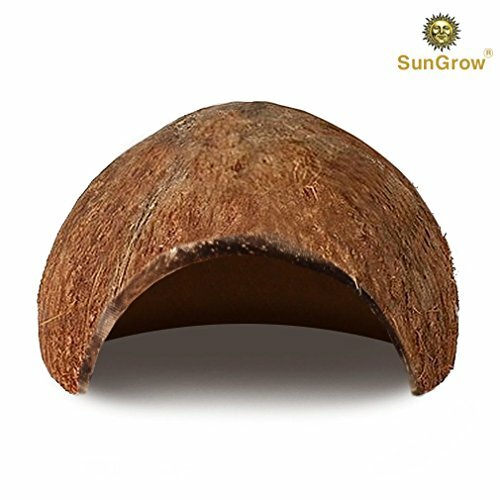 NATURAL, NON-TOXIC - Coco Hut is highly suitable for all aquaria and fish tanks. Its organic composition makes it attractive to pets and superior to plastic huts, which may contain toxic chemicals. Also, it affords a terrific, pet-friendly economization of space. MAXIMUM PRIVACY - The single opening on this domed structure fosters a greater sense of privacy and security, making fish more confident, better rested and therefore more likely to breed. There are many different brands and shapes of caves out there that you can add to your aquarium décor. All serve the same basic purpose, though: helping your fish feel safe by offering it a spot to retreat to in case it feels threatened. As we discussed earlier Betta fish are among the shyer aquarium fish species out there, so adding one or multiple cave-like structures to your tank is definitely helpful in keeping your Betta’s stress levels down. When choosing a cave for your Betta, be sure to inspect it thoroughly before placing it in the tank. All décor should lack sharp edges that your fish can hurt itself on. Anything with holes small enough for a Betta to get stuck in should also be avoided. Additionally, try to find a cave that has at least two holes so water can freely flow in and out. Caves with only one hole can become a place for water to become stagnant and rot, which can end up fouling your entire tank and endangering the health of your fish once the cave is disturbed. 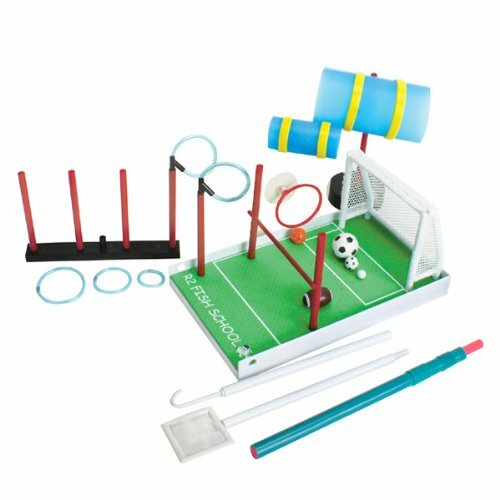 The Fish School Training Kit we discussed before contains various elements that you can teach your Betta, including a hoop. It seems that Betta owners have had most success with training their Betta to swim (or even jump!) through the hoop, as opposed to the other tricks. If you don’t want to break the bank by buying an entire training kit for your Betta, there are also a few brands out there that sell individual hoop kits. As discussed earlier Bettas are prone to obesity due to inactivity and small aquarium environments, so making yours work for its food by jumping or swimming around is a great option to help keep it healthy. We’ve already discussed live plants and their advantages, but there is one ‘plant’ in particular that is so popular among Betta keepers it deserves its own spot on a list of Betta fish toys. Actually consisting of a type of algae rather than moss, Marimo balls are very easy to care for and don’t require a green thumb at all. Your Betta will appreciate having one or multiple Marimo balls in its aquarium just as much as any other plant. The moss balls offer a place to rest on and hide behind, as well as the added advantage of absorbing nitrates and thereby helping to keep your aquarium healthy. One point to keep in mind about Marimo balls is that they naturally occur in lakes in cold areas, and although they are very adaptable when it comes to temperature you might want to avoid them if you keep your Betta tank at the upper end of the temperature range. Because real Marimo moss balls don’t always do well in higher temperatures, you might have to come up with another solution if your Betta tank seems to be a little too toasty for these algae to thrive. Luckily there are some other spherical Betta toy options that work just as well! The easiest Betta fish ball option that’s not an actual moss ball would simply be a faux moss ball. Although these don’t come with the added advantages that live plants offer, they do still help your fish feel safer and comfortable, as well as adding an extra element to its environment for it to explore. 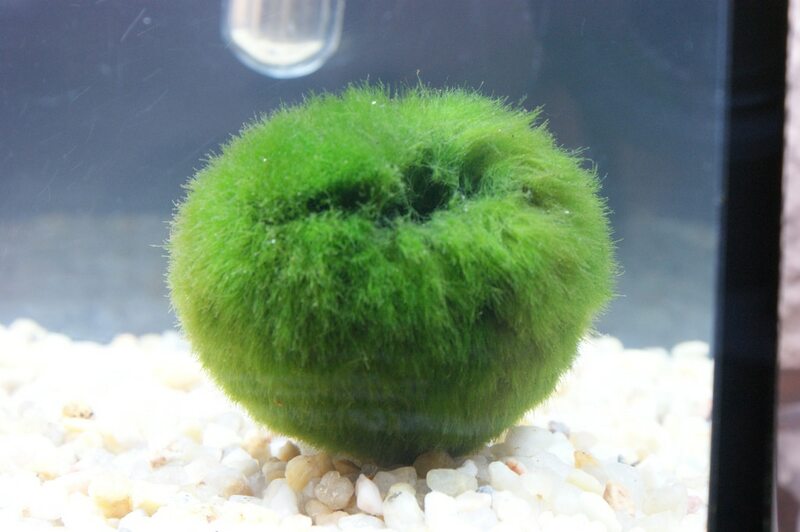 If you do want something that is live like a Marimo ball, you can also opt to make your own moss ball using Java moss. This hardy aquatic moss is much less sensitive to high temperatures and can be grown in a round shape using a moss dome. For a floating option that your Betta can chase and that adds shelter at the water surface, a golf ball suffices just fine. If you feel your Betta tank might be lacking hiding or resting spots near the surface, one great option is to add a floating Betta fish log. This tubular ornament resembles a hollow floating log of wood, making for a natural look in the aquarium. It offers your fish a place to dart into when it feels threatened and also makes for a great sleeping spot, since it floats near the surface. This makes it easier for the fish to take gulps of air, which a Betta needs to be able to do regularly as it has evolved to take up oxygen not just from water, but also from the air. There are also sinking Betta fish logs, although those probably fall more into the cave category. Adding one of both to your aquarium décor would be a great way to make sure your fish feels safe at any given moment. INDUCE BREEDING - SunGrow Betta Leaves are a must-have for taking care of Betta fish. They act as a shelter to betta, release minerals for their healing, and assist Betta in spawning. They also help Betta's skin and scales stay hard and still, smooth and slippery. REDUCE STRESS - Bettas have been known to display improved behaviour when SunGrow Betta Leaves are introduced to the tank. Because the leaves create an environment similar to their natural habitat, Bettas will start interacting with the leaves within the day they are introduced. NO TOXIC CHEMICALS ADDED - SunGrow Betta Leaves are the best solution for creating black water quality. Bottled black-water extracts may contain other chemicals mixed in that is harmful to Bettas. Our SunGrow Betta Leaves are expertly selected from naturally fallen leaves and carefully sterilised to be free of pesticides and safe for pets. If you have never used Indian Almond Leaves in your aquarium, you’re seriously missing out! Not only do these leaves give you tank a nice, natural look, but they also have tons of benefits as well. Indian Almond Leaves are are known to reduce stress, add helpful minerals/elements back into the water, and boost the immune system of Bettas. In addition, they are extremely simple to use – just drop a few into your tank and you (and your Betta) are good to go! Although your Betta fish doesn’t require toys to play with in the sense that a human would, it does need enrichment. Luckily, as this list has hopefully illustrated, there are plenty of options out there to provide your Betta with what it needs to feel safe, well-rested and entertained! A well-decorated aquarium that contains plenty of toys reduces the chances of your Betta becoming overweight and suffering from health problems like fatty liver disease, so choose your favorites and get to furnishing that tank.